Attorney Michael Sfard repeatedly requested Police Representative Mr. Peterburg to specifically state what type of espionage activity Vanunu was accused of. 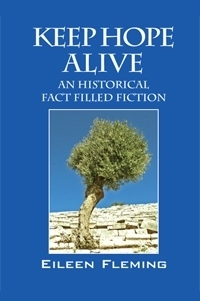 According to Vanunu, “The policeman did not have any answers and said that he brought all the evidence to the court. When Sfard asked him again about any material related to the espionage charge, Peterburg had no answers. My point in writing you is that I have hope that you can be moved by conscience to do something to help Vanunu go free, and you should know that on April 11, 2009, Billy Brigg's reported Vanunu continues to say, "that one day he would like to meet his "honey trap", Cindy, to have a coffee and to chat about how their lives turned out. He bears no grudges, he says, despite her deceit. At one point he even breaks into a smile." 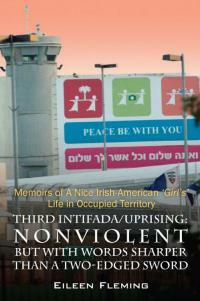 Author "Keep Hope Alive" and "Memoirs of a Nice Irish American 'Girl's' Life in Occupied Territory"
I produced "30 Minutes With Vanunu" and "13 Minutes with Vanunu" because corporate media has been MIA all during a Freedom of Speech Trial in Israel. The reason I believe the woman from the Mossad can be moved by conscience is that she is still a human being and also a mother and perhaps a grandmother by now. I know a few of her neighbors and in fact, am close to someone who knows someone who dated her in high school. I imagine that for her children's sake she may welcome an opportunity to do something to relieve her conscience-that is if she still has one-and only God knows that. 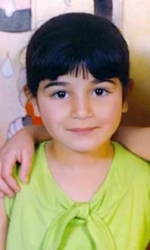 On April 6, 1996, an investigative report by The St. Petersburg Times, located Cheryl Hanin Ben Tov and reported that she continues to work for the Mossad. It is illegal under American-Israeli diplomatic protocols for the Mossad to operate in America. In 1986, Cheryl was a 26 year old Mossad agent posing as an American tourist in London. She grew up in Pennsylvania and Orlando in a Jewish family that owed its affluence to tires. As her parents went through an acrimonious divorce, Cheryl embarked upon a love affair with the Jewish State. In 1977, she spent a semester in Israel, studied Hebrew and Jewish history and threw herself into her academic and religious studies in a three-month residential course funded by the World Zionist Organization. Upon graduation in 1978, she joined the Israeli army and married Ofer Ben Tov and then was recruited by the Mossad. In 1986, a friend in Florida told the Israeli daily, Yedioth Ahronoth, "She left Israel to flee the media and the people who burrowed into her life. This bothered her a lot. She was terrified. She felt the need to run. Since this affair Cheryl only wants one thing: a normal quiet life." Vanunu also has the right to one too, and the first step requires leaving the Jewish State where his life is in danger from Zionist zealots, whose goal is to "dramatically alter the "holy basin" — the sensitive area in and around the Old City that is home to sites holy to Jews, Christians and Muslims… The government has largely kept the plan secret, not soliciting input from the city's Christians and Muslims or opening it to objections from the public" reported Matti Friedman, Associated Press Writer in Jerusalem on May 12, 2009. "An Israeli government plan to develop parks, hiking trails and tourist sites in east Jerusalem will permanently change the landscape of the contested city and cement Israel's hold there, an Israeli group charged in a report released Sunday ahead of the pope's visit to the city. Under international law, it is illegal for Israel to annex east Jerusalem and the Old City, which they captured in the 1967 War. Second to the right of refugees to return to their homes or even to be compensated for their loss, the issue of Jerusalem is the most intractable issue in the Israeli-Palestinian conflict and most necessary to justly address as a shared capitol for Israel and Palestine. 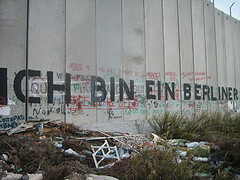 Pope Benedict XVI's first visit to Jerusalem, is shining a light on this dispute over the city including the demolitions of Palestinian homes to make way for the construction of Jewish only neighborhoods in east Jerusalem. The light also must continue to shine upon the ongoing injustices Israel inflicts upon Vanunu by continuing to deny him the right to speak to non-Israelis, so on Mother's Day, along with a prayer I mailed my letter to Mrs. Ben Tov with my return address on the outside of the greeting card envelope. I do not expect a reply, but I do imagine a few phone calls will be made and a few more visitors will read my site today. My hope is that consciences will be pricked because this little American reporter is not afraid to contact the Mossad and I want them to know that in order for America to remain the home of the FREE and the brave- freedom of conscience, speech and press are necessary and inalienable human rights that must be seized if they are to be reality. 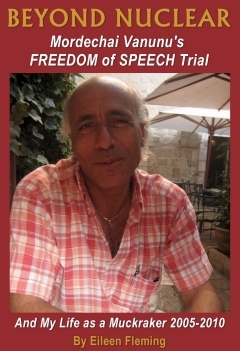 Thus, I hereby and unequivocally affirm that the Jewish State's continuing persecution of Vanunu, an ex-Orthodox Jew baptized a Christian just day's before meeting the woman from the Mossad who betrayed him as Judas betrayed Jesus- with a kiss-can still change course from self-destruct and choose to do Micah 6:8.